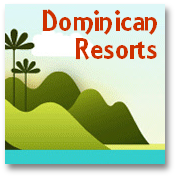 Below we list our 'top ten' Dominican Republic travel tips. We hope these tips and advice help you prepare for your Dominican Republic vacation to ensure a safe, successful and happy trip! Dominican Republic Travel Tip: Check your passport! OK so you say you could never forget it...well, as many people have found, that's not until you do! Check it is signed and don't forget to fill in the emergency information page (If you are saying to yourself 'what page?' then take a look now, you probably haven't). Dominican Republic Embassy in the U.K.
VtDR 'Travel tip extra': "US travelers will know that they don't 'have to have' their passports with them for a vacation to the Dominican Republic, but Government sources STRONGLY advise that you take it anyway. In fact why not take a quick look at the US passport travel advisory published by the US Government. Also, if you are on a Dominican Republic vacation from the UK and have forgotten to arrange a tourist card you can buy one on arrival for a small fee! 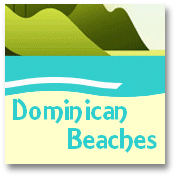 Dominican Republic Travel Tip: Decided When To Visit? 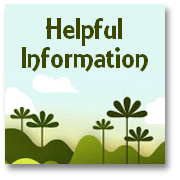 A good tip is to make a couple of photocopies of the identification page of your passport. 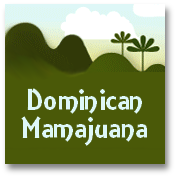 Wherever you go make sure you find out what you can about local laws and customs (of course, if you are planning a Dominican Republic vacation then we hope you'll check out our other – 'Dominican Republic Information Pages'). 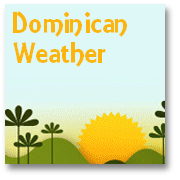 Dominican Republic Travel Tip: Tell The Family!! Make sure you have told family and friends where you are going, and where and how they can contact you! These days you need to be aware of the possibility of crime WHEREVER you go, of course. Even on a Dominican Republic vacation, where serious crime is rare, you could still encounter petty criminals. So common sense dictates that you should never leave your bags and luggage unattended in public places. Dominican Republic Travel Tip: Don't Make A Show!! A additional thought, with regards to petty crime, wherever you head for don't make yourself a walking target by dressing too much like a typical 'wealthy' tourist. Advertising your good fortune by wearing expensive jewelry and designer 'vacation wear' can only encourage opportunists. It's also advisable to carry limited amounts of cash and cards with you particularly when 'exploring' on foot in unfamiliar far- flung places! Think twice before carrying any 'valuables' with you when touring in hire cars that you really don't need, if you have a secure place (like a hotel safe) where you can leave them! A wonderful Dominican Republic vacation could be turned into a 'woeful experience' if a thief helps themselves to cameras, handbags, etc. from your parked hire car. Remember 'hire cars' are generally easily recognizable...So on a days drive-out only take with you what you can comfortably carry with you at all times, and don't be tempted to leave your valuable 'clutter' in the trunk! Dominican Republic Travel Tip: One Change You Shouldn't Make! Don't be tempted to 'make a quick' killing by changing money with anyone but a legitimate exchange agent or at a bank. On your Dominican Republic vacation, if you are offered a 'unbelievable rate of exchange' by a guy on the street then that is just what it is...'unbelievable'!! In fact it is a well worn scam that a good many an unwary (and 'greedy') tourist has fallen for in the past. We really hope our 10 Top Travel Tips for a happy, secure and risk-free vacation will help to ensure that whether it is a Dominican Republic vacation you decide on, or even if you choose to go somewhere else, you have a really wonderful time! Take care and have a great holiday full of ONLY good memories.